January 12, 2017, 11:09 a.m. 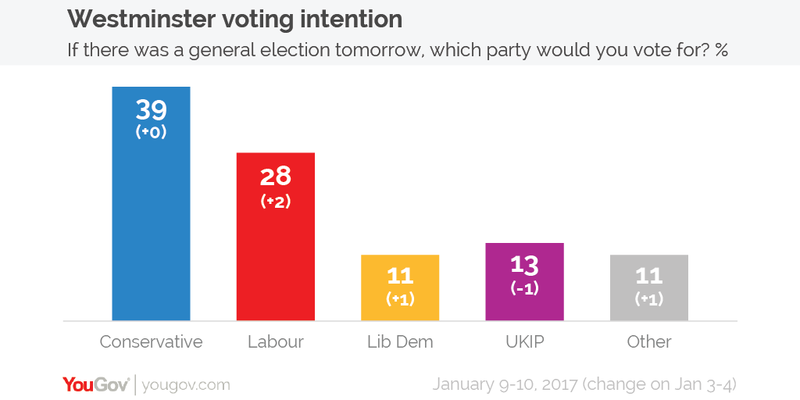 This week&apos;s YouGov/Times voting intention figures see the Conservatives on 39%, the same level they have occupied since 18-19 December, and Labour on 28% (from 26%), giving the Tories an 11 point lead. Elsewhere the Liberal Democrats are on 11% (from 10% last week), UKIP are on 13% (from 14%), and votes for other parties are at 11% (from 10%). 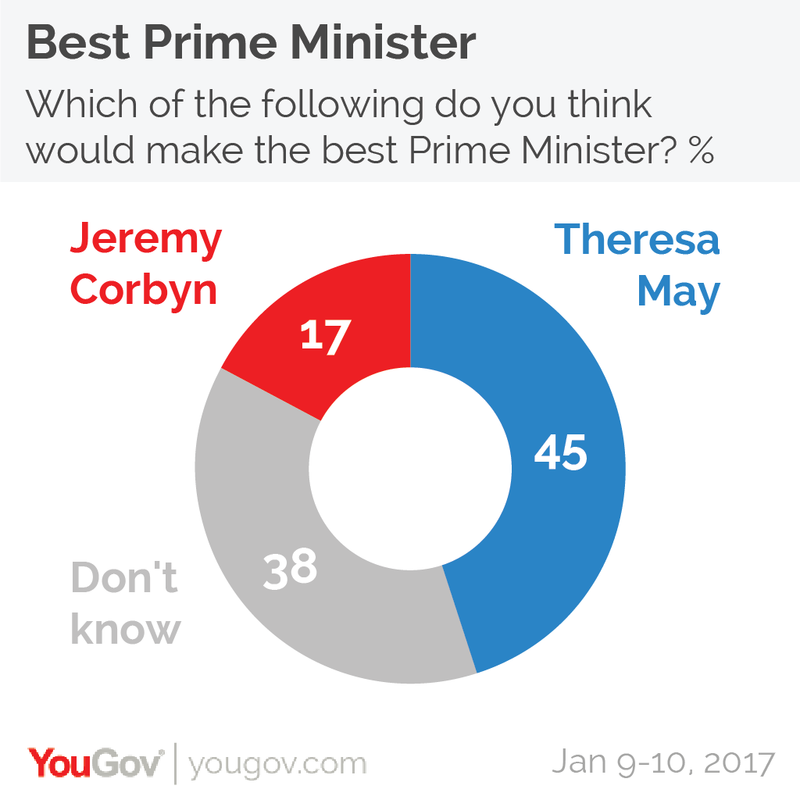 Theresa May continues to be the favoured choice for best Prime Minister, with 45% of people preferring her to Jeremy Corbyn. The Labour leader is backed by 17% of voters, whilst 38% don&apos;t know.